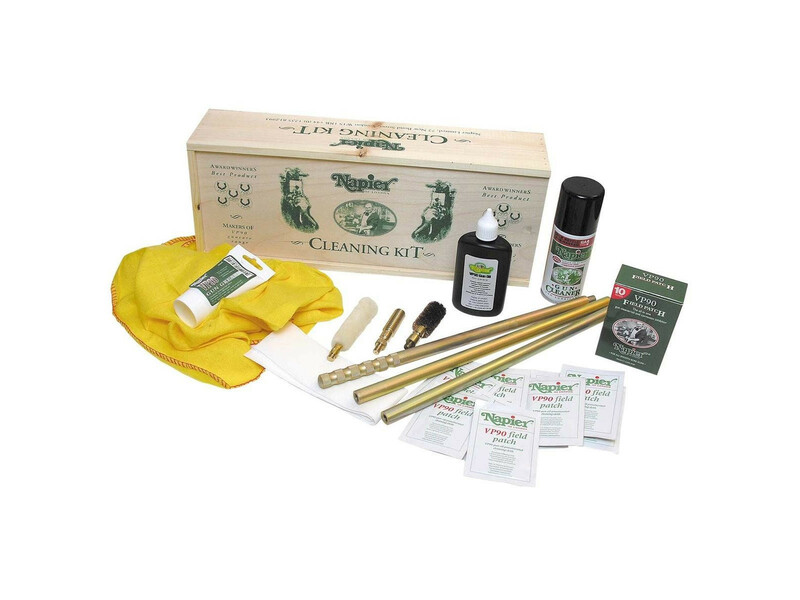 (We cannot ship this product outside of the UK) This cleaning kit comes in a wooden presentation box with a sliding top and pleanty of room for further cleaning materials. This cleaning kit comes in a wooden presentation box with a sliding top and plenty of room for further cleaning materials. N.B. Gun Oil dispenser not included.